New nationwide YouGov research, widely reported in the British press, has revealed that 62% of British adults want to broaden their musical horizons, and classical chamber music is the genre that tops the list. 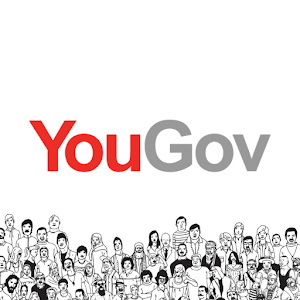 The YouGov poll revealed that almost a quarter of Britons want to discover more about classical music – more than any other genre. The poll was commissioned by the Royal Philharmonic Orchestra, and so naturally reporting has focused on the implications for the future of orchestral music. But actually the greatest number (almost half) of those interested in classical were drawn to chamber music, more even than orchestral music. It’s inspiring for us that there is such a healthy appetite for classical chamber music in this country, and we feel that Septura is particularly well-placed to capitalise on this nationwide enthusiasm. The unique sound of the brass septet gives it an especially broad appeal, combining the power of a symphony orchestra with the intimacy of a solo recital. And our broad range of transcriptions “stolen” from other instruments – encompassing works originally for strings, solo piano, chamber orchestra, and voice – enables us to span every period and genre of classical music. Don’t just take our word for it though – you can judge for yourself in our Kleptomania series, which presents our prize pickings of “stolen” transcriptions in concerts at St John’s Smith Square, London and West Road Concert Hall, Cambridge. The next concert, Borrowed Baroque, is on 1 May in London and 4 May in Cambridge, and features a brand new arrangement of Stravinsky’s Pulcinella alongside works by Rameau, Handel and Prokofiev. 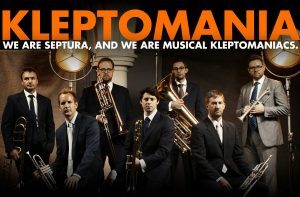 KLEPTOMANIA: behind the scenes Proms at St Jude’s – BOOK NOW!